With their trademark tobaccos and filters,Wrangler promises every ardent buyer of its brand cigars nothing but the bestin smoking experience. 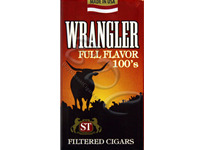 Wrangler Full Flavor Filtered Cigars boast of thebest selected North Carolina tobacco with robust earthy taste. Smooth to drawand evenly burning cigars are perfect to leave behind the trail of satisfaction. 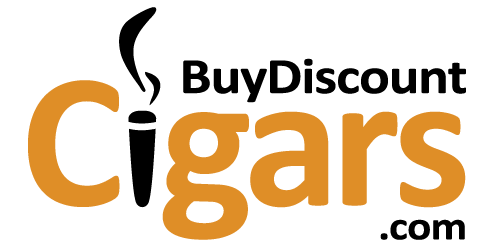 Look for the frequently updated deals anddiscounts and spend joyfully on Wrangler cigars with our store. We are happy tomeet every demand of our customers by maintaining every popular product in thestock. My only complaint is a quality-control one. I can go thru several packs with no problem then I run into a batch where as many as maybe 3 -4 'cigars' in the pack will have the filters not attached properly or even the paper seams leak. Drives me a little nuts as to why Wrangler has this problem and can't seem to fix it. Otherwise, it has outstanding flavor and aroma if you prefer a full-bodied smoke.